Unusually this boat has never been chartered. Under the current owner since 2006, she crossed the Atlantic from the UK and has been based in the Caribbean since then. She has been used a couple of times each year for 2 to 3 week Caribbean sailing trips with friends and family. She has great accommodation for her 43 feet and her interior compares well with similar boats of the same age. 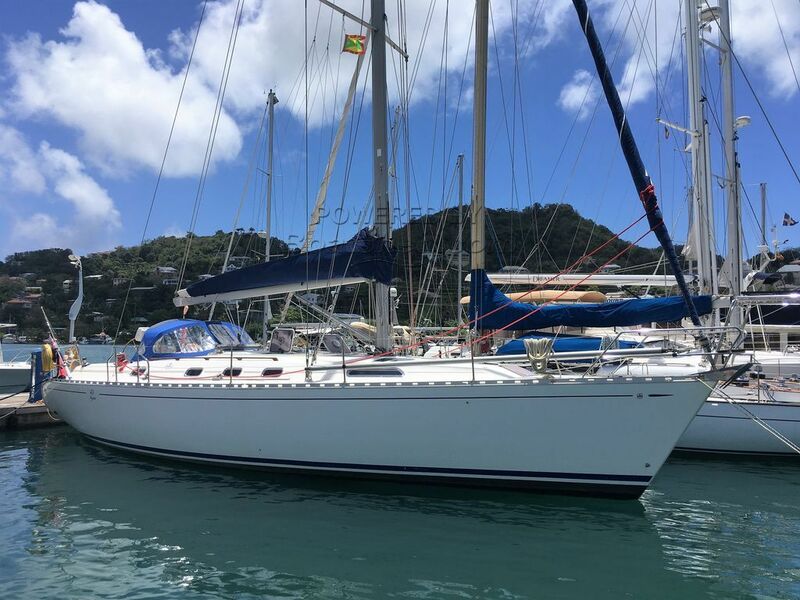 This Dufour 43 Classic 4 Cabin Layout has been personally photographed and viewed by Anita Sutton of Boatshed Grenada. Click here for contact details.